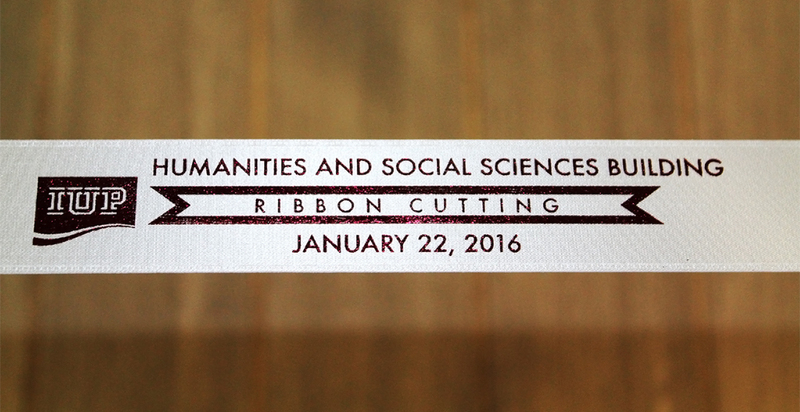 These statements set the tone for the grand opening and ribbon-cutting ceremony for Indiana University of Pennsylvania’s newest learning facility on January 22, 2016 – the College of Humanities and Social Sciences. 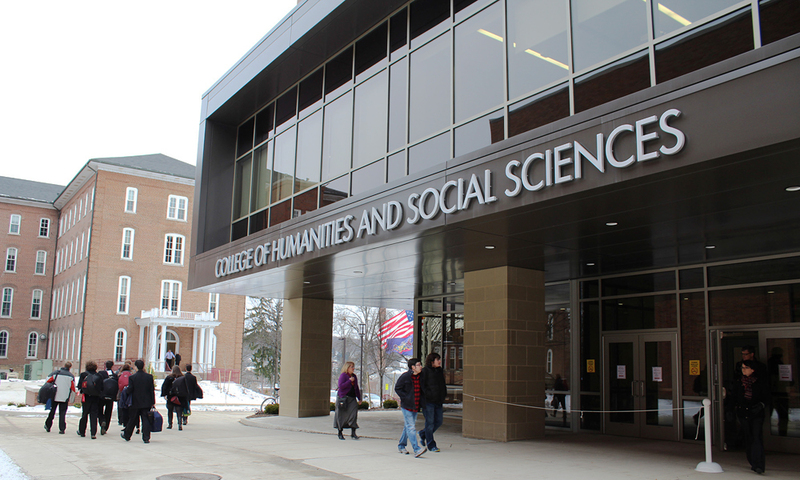 The state-of-the-art building is now home to seven departments and multiple centers, institutions and study areas. This building will see daily activity – every undergraduate IUP student will take required courses in this five-floor building, in addition to master’s- and doctorial-level studies. 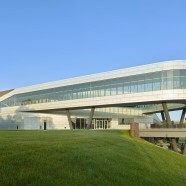 The building features computer labs, casual seating/study areas, department-specific and multi-media classrooms with flexible seating, an auditorium and rooftop patio for events. Engineering and interior design complement the architecture, establishing and balancing function. While the activities were overwhelming supported by professors and students, filling the first-floor to capacity during the grand opening ceremonies, there was an appropriate nod to the past. 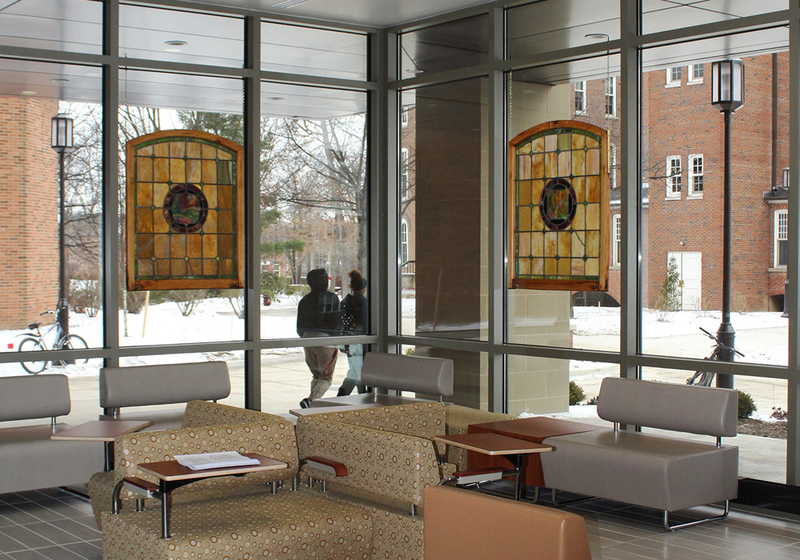 Glass windows previously located in Thomas Sutton Hall, a building formerly located where the new building stands, and in storage after the building was razed in the 1970s, were repaired and have prominent placement throughout the building – in first-floor lounge and in several departmental spaces. With the completion of this facility, significant and sentimental Leonard and Keith Halls will be razed for even further campus development.